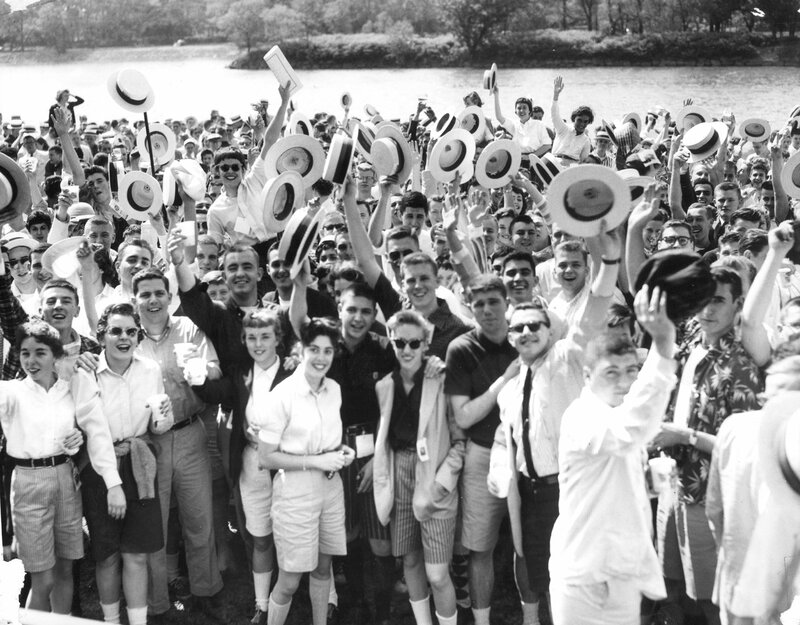 For many years prior to origination of Hey Day in 1916, the principal spring celebration for undergraduates was “Straw Hat Day”. 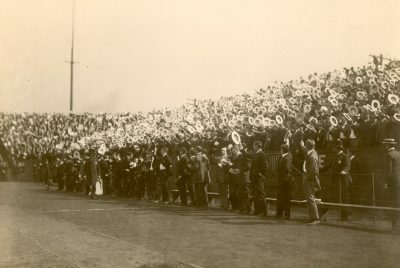 Straw Hat Day was the second Saturday of each May, the special event of the day being a baseball game with Princeton. At the time, there was strict observance of the tradition that a higher education deserves appropriate dress. Thus, when students went to baseball games, they generally wore tailored suits, shirts with collars and neckties, garters and hats. On Straw Hat Day, the usual felt hats were laid aside and the students appeared in straw hats. Straw Hat Day was so widely accepted in Philadelphia that no one in the city dared wear a straw hat before that day.